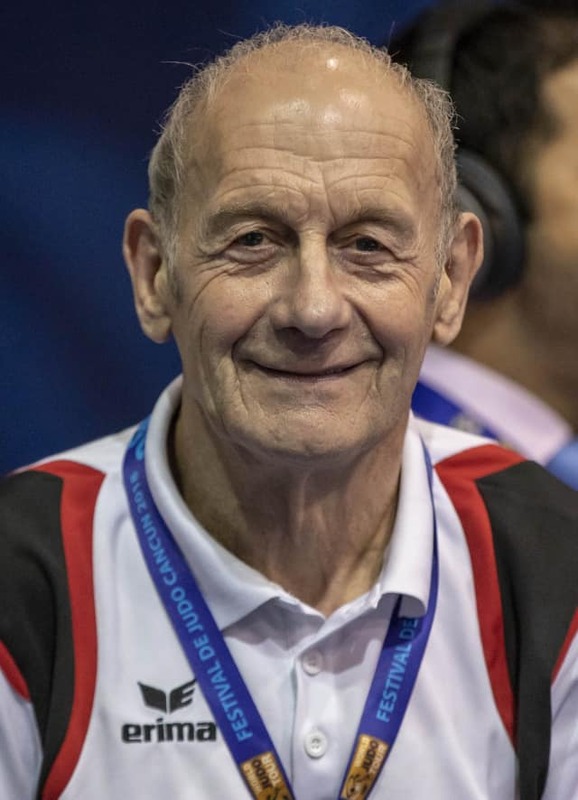 Welsh judoka Stan Cantrill, 73, is among the 1,000-plus judoka in Cancun, Mexico, for the 10th edition of the IJF World Veteran Championships next week. Cantrill, who will be representing Great Britain, fell in love with the sport when he discovered it at 12 years old and has never stopped practicing. The 5th Dan started judo at Great Barr Judo Club in Birmingham, England, and loved the individual element. “I tried cricket but it was too slow, I played rugby (and went on to play for Walsall Colts), but with judo I liked it being an individual sport,” said the well-known veteran. “You succeed or fail based on your own personal performance and I like that.” Cantrill, who is affectionately known as ‘Stan The Man’, will fight in the M9 (70 – 75 years old) -73kg category on Wednesday in Mexico. “It’s very lonely out there on the mat, there’s no hiding place,” said the 1974 Scottish Open winner while in attendance at the second day of the Cancun Grand Prix. “I never made the national squad, I was around at the time of Brian Jacks, Britain’s first world medallist, and he still teases me about our contests. “I fought Neil Adams in a Midland tournament and his late brother Chris. Neil had a phenomenal tai-otoshi, I knew he was going to do it but I couldn't stop it. I was watching him all day and thought I’ve seen you, you’re not going to get me sunshine but of course he did. Cantrill, who counts Fighting Films, Samsung and Halo Leisure among his enviable list of sponsors, has travelled the world doing the sport he loves and has won hundreds of medals. “I love judo, I love fighting, it’s my greatest love but don’t tell my wife that. The adrenaline rush of fighting you just can’t describe. After 61 years in the sport, the veteran of veteran’s judo still has the same desire and motivation that he had as a child. “I’ve never won the Veteran World Championships, that’s a real motivator for me. I’ve won silver and bronze but never gold and I’m here to change that in Cancun. “I’ve won the British Veteran Championships 10 times and world gold is the only one I’m missing. “I’ve prepared for this event by being on the mat three times a week and training cardio and lifting weights twice a week,” said the 73-year-old grandfather. “My six-year-old granddaughter says ‘bampy is wonderful’ and it’s a magical feeling to hear those words and to know that she will watching will all my family on the IJF broadcast of the competition. Cantrill, who has applied to volunteer at the Tokyo 2020 Olympic Games, was in the sport’s homeland this year with friends and training colleagues to compete in the All Japan Veteran Championships which was open to international judoka for the first time this year. 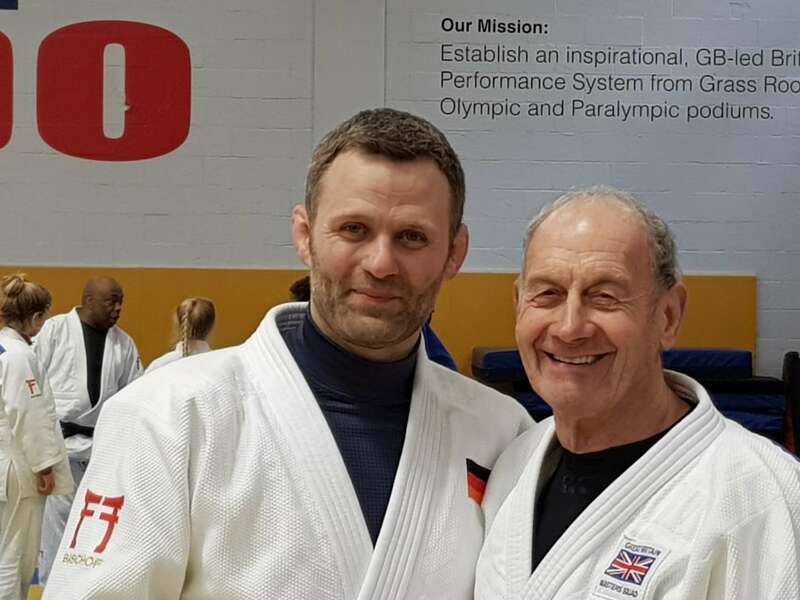 The British Judo Veteran’s Commission member, who is also a level three coach and qualified referee, has no plans to call time on his second life as a judoka. “Maybe it’s an addiction I have,” said Cantrill (laughs). “I can’t help myself. We say that there’s a judo family in the world and its’ true. I want to win the Worlds but I don’t plan on stopping. Watch the IJF Veteran World Championships live and free on the IJF YouTube account.